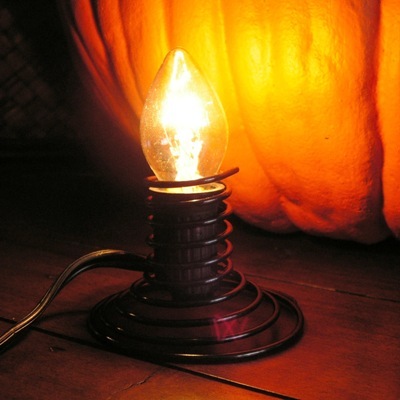 The Fun-Kin Pumpkin Light is a safe way to illuminate a Fun-Kin or a real Pumpkin. This is an electric light that is UL approved for indoor and outdoor use and the light we recommend if you want a natural look that is brighter than battery operated tea lights. The Fun-Kin Pumpkin Light is a safe way to illuminate a Fun-Kin or a real Pumpkin. This is an electric light that is UL approved for indoor and outdoor use and the light we recommend if you want a natural look that is brighter than battery operated tea lights. C7 Bulb.